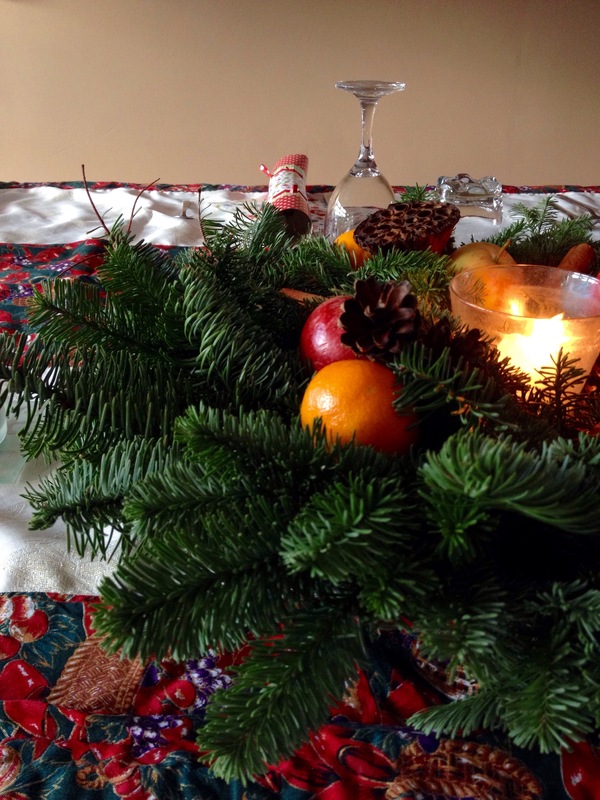 Our Christmas Day celebration is coming to a close on what was a bright and crisp day in Ireland. 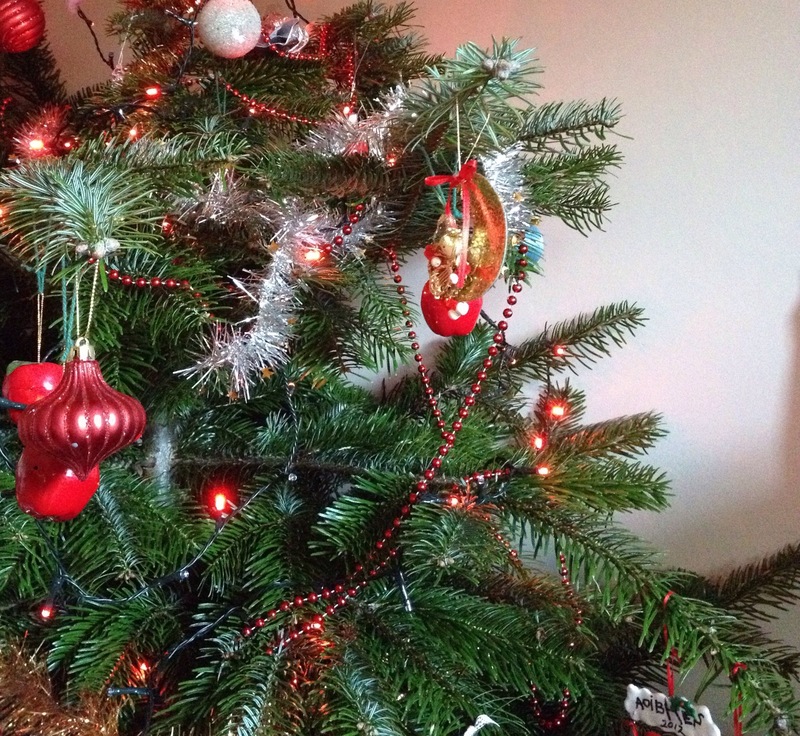 All my best wishes for health and happiness to you and your family for the holidays and 2015. Certainly now more than at any other time of the year, with the bustle of the holidays upon us, we find ourselves in busy straits. For me, this means some shopping for gifts, but as a maker, it more often means that I over commit myself to many projects I naively think that I will accomplish easily between now and Christmas. Needless to say, this results in late nights and rushed making, which is not my favorite kind. I end up craving some kind of balance (and dark chocolate…in large quantities, but that’s another story altogether). 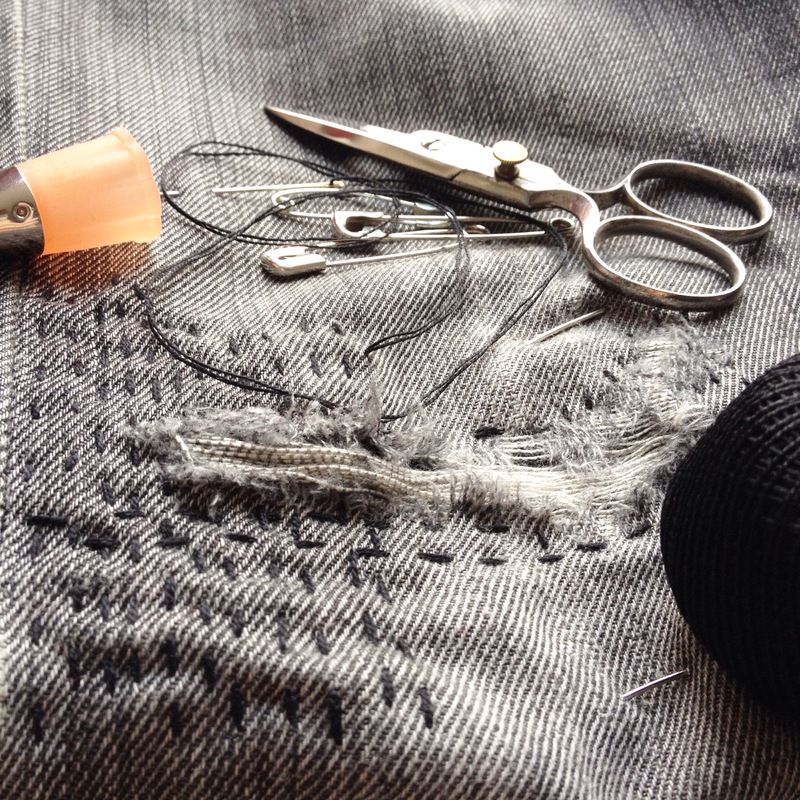 I find balance to a large extent by approaching the holiday projects like I do those in my mending pile. A few months ago, after coveting it from afar for too long, I broke down and finally got myself a subscription to Taproot Magazine. First I tried the American Book Center (trying to keep brick and mortar book shops in existence is a worthy cause after all), but unfortunately they didn’t sell it, so online I went and it was sorted. 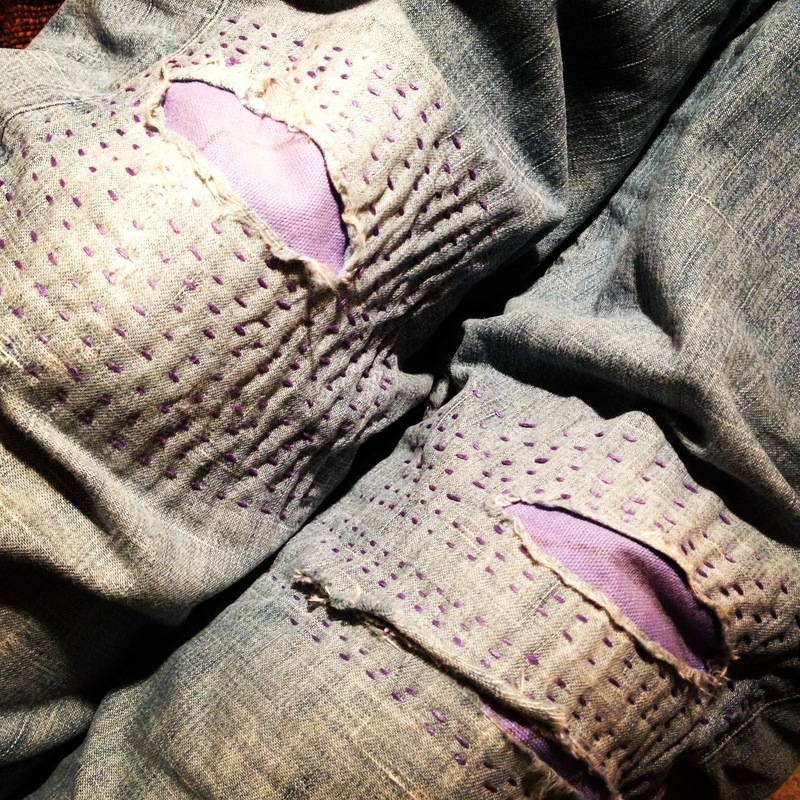 I started with the issue MEND, drawn to it by an article by Katrina Rodabaugh about mending, accompanied by beautiful images of mended jeans. 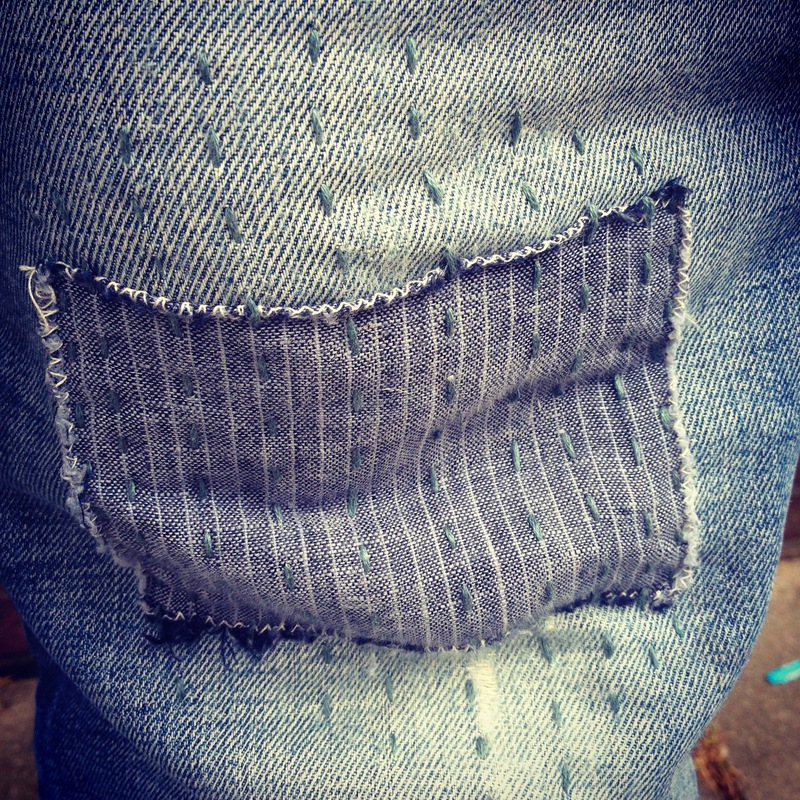 I had started mending my own jeans a few years ago, fueled by necessity and inspired by images I’d seen on Pinterest, and I was hungry for more inspiration. My patched knees. I don’t even remember when these jeans became my favorite, but they definitely get special treatment every time another rip appears. Shortly after, I was lucky enough to be part of an online class “Slow Fashion Style” given by Katrina. The magazine paired with the class were exactly the inspiration I needed, rekindling my slow fire and giving me plenty of creative inspiration and dreams of adopting Slow principles in more aspects of my life. There are all kinds of Slow movements going on out there and I can understand why. It speaks to me (and apparently many others) in a profound way. When I feel like the pace of my life is spiraling out of control, slowing down even a little bit creates more balance and balance is an awesome thing. In my mind, the idea of Slow encompasses reflection, observation and connection. It doesn’t necessarily mean doing something at a slow pace (although feel free to do so if you can and want to), but aiming to take the stress (and speed) out of the act of making or doing or going by being mindful, observant and connected. I try to see a glimpse of beauty in all moments, but particularly in those where the opposite seems to apply when I approach them at full speed. A concrete example: yes, we’re late for swimming lessons (again) and I’m biking like mad to the pool with crying kids in the seats on the front and back of my bike, but, hey, doesn’t the wind feel nice on my face and aren’t the leaves on the trees particularly vibrant today? That simple act of observing and being mindful of my surroundings allows my heart rate to slow down and brings me just a bit more balance, which is a good feeling…very good in fact. I find that this feeling easily translates to the act of mending, an act which forces me to focus, again being mindful and observant. 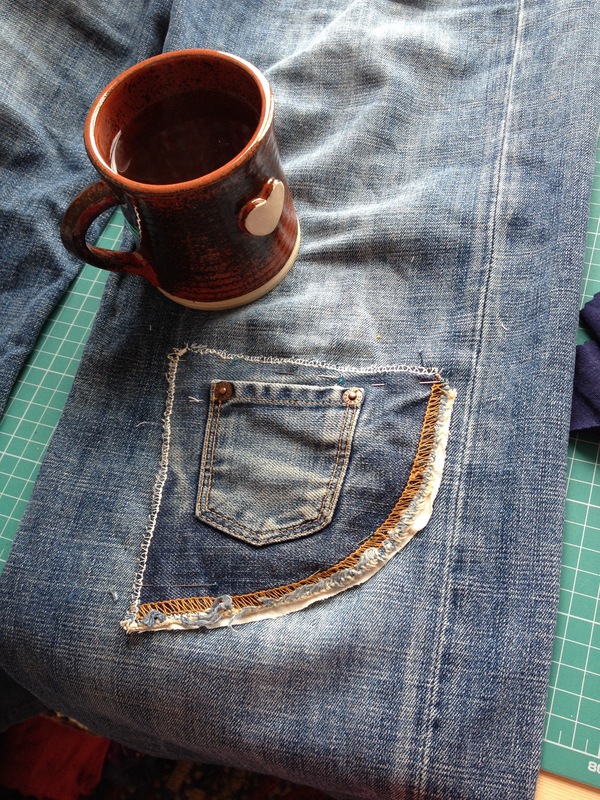 I think about what I’m working on, where it came from and who made it, what it’s been through, the simple act of repairing a hole, lengthening or shortening a pair of pants, reattaching a button giving me space to think about and appreciate the person I’m mending for. I find connection. Approaching the gift making in the same way brings thoughts of beautiful meals cooked using an apron or oven mitts created by my hands or lovely sweaters, scarves and blankets knit from yarn nestled happily in a bag I’ve crafted for someone I love. In the end, I make what I can and try to accept my limitations. There are alternatives – supporting other makers, for example. Similarly, my mending pile waxes and wanes and I try not to stress about it. As long as my husband and I have a couple pairs of jeans to wear and my children have pants that cover their ankles and some shirts they haven’t popped the buttons off of, there is no stress…only paying attention to the love I put into the simple act with my thread and needle.